Meet the adorable pandas, Kai Kai and Jia Jia at the Giant Panda Forest and enjoy a Panda Pau Set at Mama Panda Kitchen next door! Wonderful place to spend the day. We were initially debating whether or not to go, since we already did the zoo next door. So glad we did. Seeing the pandas up close was so worth it. 85% of the safari was by foot, and small percentage was by the Amazon ride, so don't worry if your child doesn't meet the Amazon boat height requirement. 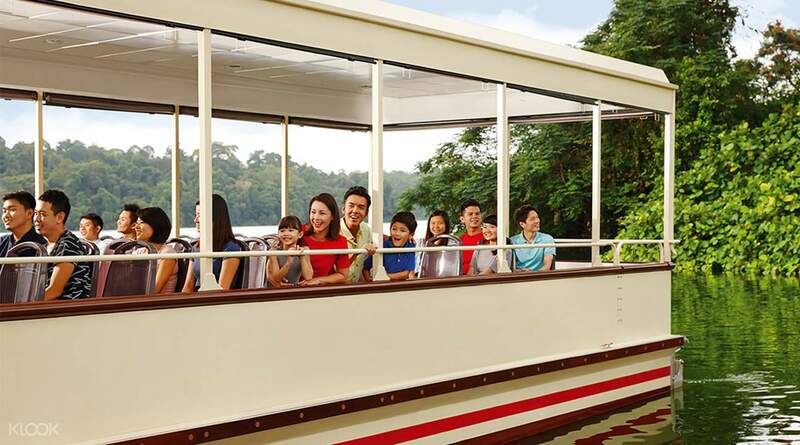 Take the family on a captivating experience of river life at the Singapore River Safari. Inspired by the mighty rivers of the world, the attraction features animals and plantation against a backdrop of history and culture. Name the world's longest rivers in order: which comes first, Egypt's Nile, China's Yangtze, or South America's Amazon? Discover how deep Africa's Congo River runs, and the religious significance of the Ganges in India. Learn about the endangered species of North America's Mississippi, the floating villages of the Mekong in Asia. 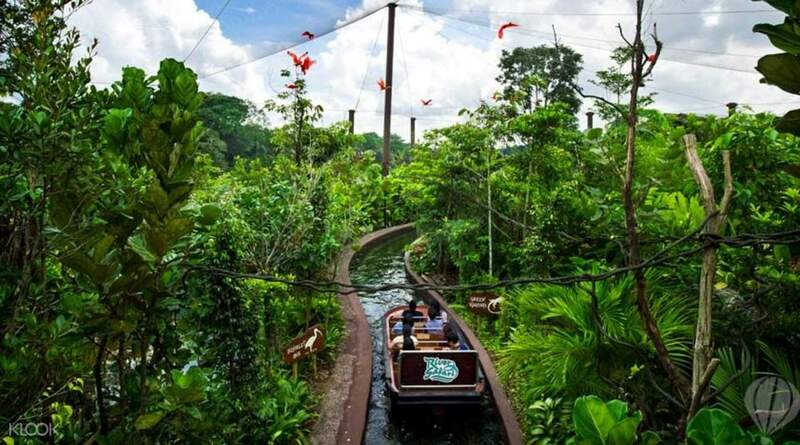 The Amazon River Quest also gives you an idea of what it's like to cruise along the world's rainforest, while the Flooded Forest takes you deep into the ‘lungs of the earth'. 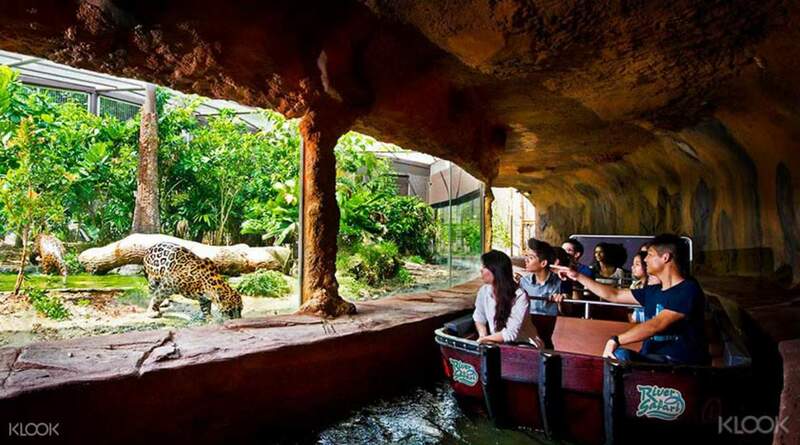 There's certainly no shortage of fun and discovery at the Singapore River Safari! Great experience booking with Klook. You do not have to join the very long line for buying tickets. There are designated kiosks for claiming the tickets, just scan the codes from Klook. The price was cheaper as well. Will definitely book other experiences in the future. Great experience booking with Klook. You do not have to join the very long line for buying tickets. There are designated kiosks for claiming the tickets, just scan the codes from Klook. The price was cheaper as well. Will definitely book other experiences in the future. It was a great experience, really worth it . The place very well maintain & clean . The aquariums are huge & the pandas are really so cute . Besides that , we also saw many different type of animals . There are lot of facts around the place to help the visitors to learn more about the animals & rivers too . Gt experience by touching the starfish . For Klook ticket redemption, it's very easy & fast . It was a great experience, really worth it . The place very well maintain & clean . The aquariums are huge & the pandas are really so cute . Besides that , we also saw many different type of animals . There are lot of facts around the place to help the visitors to learn more about the animals & rivers too . Gt experience by touching the starfish . For Klook ticket redemption, it's very easy & fast . I was there with my childs. and they love being there..verry well maintain place..smooth path. easy access. and with klook the ticket was super fast and no long que. my first experience with klook and very recommended. I was there with my childs. and they love being there..verry well maintain place..smooth path. easy access. and with klook the ticket was super fast and no long que. my first experience with klook and very recommended. Unique wildlife experience. A wonderful cross between aquarium and zoo. The tanks were amazing, especially the manitee and giant otter tanks. Amazon boat cruise was fun. The wildlife show was great, as expected. Get there early for good seats and to meet some animals up close and personal. 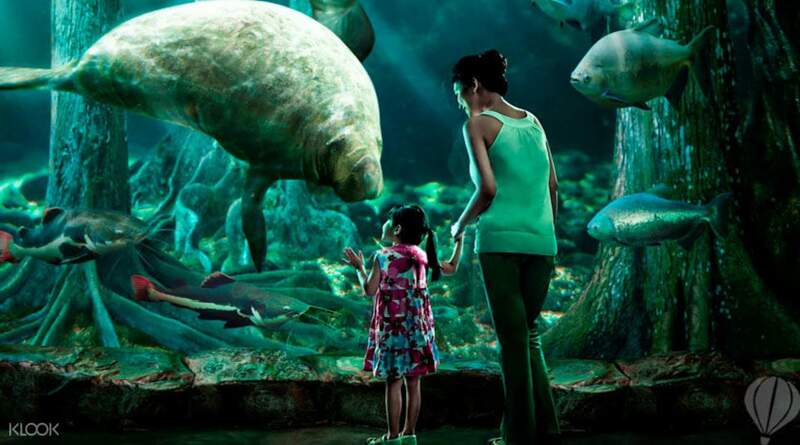 Definitely a must if in Singapore especially if you like aquariums or animals. Unique wildlife experience. A wonderful cross between aquarium and zoo. The tanks were amazing, especially the manitee and giant otter tanks. Amazon boat cruise was fun. The wildlife show was great, as expected. Get there early for good seats and to meet some animals up close and personal. Definitely a must if in Singapore especially if you like aquariums or animals. You better go there in the afternoon. After 3 to 4 hours trip, you can have dinner at Night safari, then you can go to the night safari. It is worth to bring children there, they learn a lot there. You better go there in the afternoon. After 3 to 4 hours trip, you can have dinner at Night safari, then you can go to the night safari. It is worth to bring children there, they learn a lot there. Very easy to redeem the tickets, as they have a kiosk at the entrance. No need to line up. So excited to finally meet panda and red panda! They are so cute. Got anaconda also! And the aquariums are huge. It was a good experience, really worth it. Very easy to redeem the tickets, as they have a kiosk at the entrance. No need to line up. So excited to finally meet panda and red panda! They are so cute. Got anaconda also! And the aquariums are huge. It was a good experience, really worth it. A: Unlike third party platforms who may hold fraudulent tickets, Klook is an authorized reseller of Singapore River Safari. All tickets sold by Klook are genuine and will be accepted at the admission gate.